It was another whirlwind Showtime for the STI team! Our new fabric line was well received by our customers... they loved our new eye catching, on-trend jacquards and our classic, durable and beautiful base cloths. In addition to our new fabrics, our customers were highly interested in our new PoP materials and learning more about the Revolution story to educate their own customers. Check out photos below of December 2017's Showtime! Above: New STI and Revolution jacquards! Above: Some beautiful Brentwood Textiles Revolution patterns! Cheryl Luckett, interior designer and owner Dwell by Cheryl, is the newest addition to the Revolution team. Cheryl is shown here putting together some correlates of Revolution fabrics to show our interior design customers! Above: Revolution debuted a new PoP item at Showtime, our new "Revolution Promotional Flags". These eye-catching flags can be draped over a sofa or chair and can be used for cleaning demonstrations as well, because of course - it's Revolution! Above: Photos of our recent full page ads in Furniture Today magazine and Revolution PoP materials. Above: New Revolution tote bags designed by Kathy Dotterer and Glen Read! Our customers and STI Showroom visitors loved their fun new bags! Above: Phoenix Trimworks displaying and showing their beautiful tapes and trims! 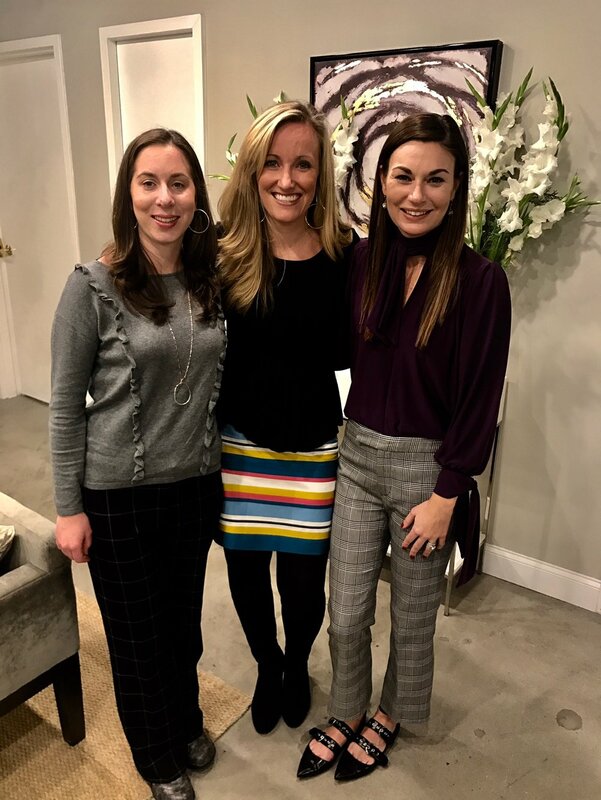 Above: Ashley Hovis, Katherine Shoaf and Jill Harrill at the ITA Young Textile Professionals Showtime event.